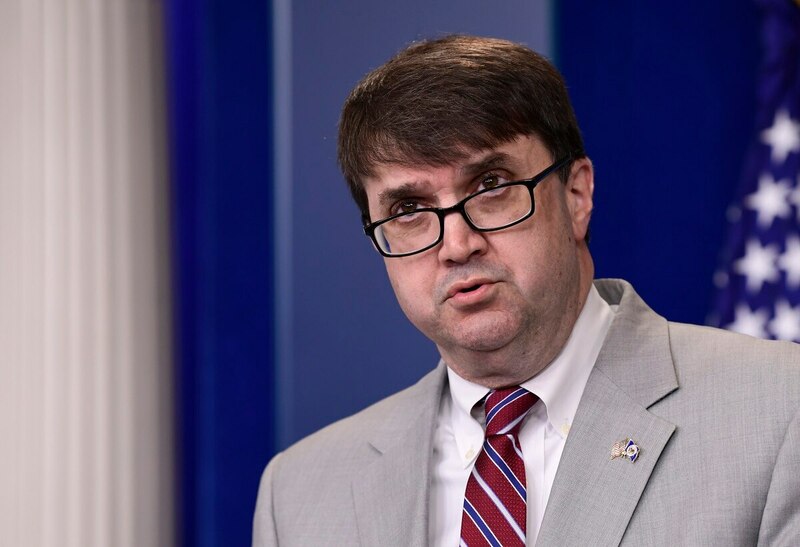 WASHINGTON — Veterans Affairs Secretary nominee Robert Wilkie promised lawmakers this week that suicide prevention will remain the department’s top clinical priority and transgender veterans will not see any benefits changes if he is confirmed for the post. Wilkie, 55, was advanced by the Senate Veterans’ Affairs Committee members on Tuesday, likely setting up a full chamber vote on his appointment later this month. Sen. Bernie Sanders, I-Vt., voted against Wilkie, the first time a senator has opposed a VA secretary nominee since the department was reorganized into a Cabinet-level post 30 years ago. Wilkie is an Air Force Reserve colonel who previously spent time in the Navy Reserve and currently works as the Pentagon’s top personnel and readiness official. He served as the acting VA secretary for two months following the firing of David Shulkin from that Cabinet post in March. During his confirmation hearing last month, Wilkie received strong support from most members of the Senate veterans committee, who characterized him as a stabilizing force for the embattled agency. Improving veterans' access to health care would be one of his biggest priorities, Robert Wilkie said. But several senators still had unanswered questions after that two-hour public interrogation, and submitted additional queries to the nominee for additional clarification. Those answers came this week, just hours before the committee vote. Among them were several follow-up questions related to Wilkie’s role in crafting President Donald Trump’s new Defense Department policy on transgender troops and recruits, an issue that has been the subject of multiple legal challenges. Wilkie said he recused himself from that decision because he was confirmed to his Defense Department post well after the legal challenges had begun. In response to concerns about how those cases may affect VA policies, the nominee promised he has no plans to make changes. The statements could calm lingering concerns among some Senate Democrats about Wilkie’s support of Trump’s policies, or Wilkie’s past work for conservative figures like former Defense Secretary Donald Rumsfeld and former Sens. Trent Lott and Jesse Helms. Wilkie told lawmakers he is “committed to a diverse and inclusive workplace” and promised prompt disciplinary action for any VA employees found guilty of discrimination. He listed his top policy priorities as implementing the new VA Mission Act — an overhaul of the department’s community care health programs — and modernizing veterans electronic medical records, as well as reducing benefits backlogs and reforming VA’s human resource systems. Following Shulkin’s lead, Wilkie said that his top clinical priority will remain suicide prevention. No timeline has been set for a full Senate vote on Wilkie’s nomination.